Realty Services 4 You, LLC Exceptional Service You Deserve! If you would like to better understand the financial statements for a community association you are involved with or you are considering buying into, James can assist you. Please contact James for a free consultation to see how he may help you evaluate a community association (especially a condominium association) that you're considering buying into. Per Georgia Real Estate Law, a community association is an owner organization of a residential or mixed use common interest realty association in which membership is mandatory as an incident of ownership within the development, such as condominiums, cooperatives, homeowner associations, timeshares, lot divisions with restrictions in management, and other forms of common interest or planned developments where there is a common management. Homeowner Association - You own your home and lot and are a member of the association who owns any common property, such as a pool and tennis courts. Condominium Association - You own your unit and a percent of concurrent ownership (tenants in common) of the common property, such as the exterior building and any pool and tennis courts. You are also a member of the association, but the association generally does not own any common property, the owners directly own the common property. 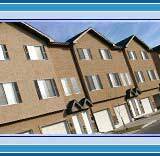 Cooperative Association - You have a proprietary lease on a unit included in a building that is owed 100% by the association. All common property is owned by the association and you are a member of that association.